Do you frequently feel stressed, overwhelmed, depressed, anxious? Do your thoughts sometimes have too much control over you? What if you could focus your mind and find peace in any situation? We all face challenges — complex decisions, difficult personalities, constant demands on our time — but we don’t have to be at their mercy. 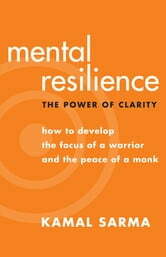 By developing the skills outlined in this book, which create what author Kamal Sarma calls mental resilience, we become able to meet these challenges with clarity. 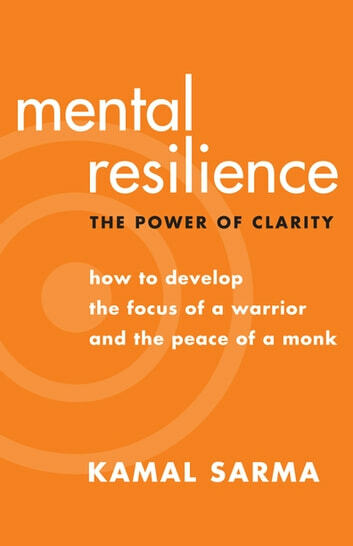 Both warriors and monks have for centuries made training their minds, developing mental resilience, a key priority. Through this training, they are able to silence incessant mental chatter and live a life of awareness, peace, and focus. Kamal draws upon his roles as a former student of Eastern spiritual practices and a successful Western corporate advisor to present a step-by-step guide to developing mental resilience. Through a progressive program and a guided-practice CD, Kamal provides models and metaphors that will help you clear your mind of repetitive, unhelpful thoughts and improve your ability to make decisions. You will learn how to reduce stress, maintain clarity in any situation, and discover an abiding calm within. Meditation for Beginners - How to Meditate and Achieve Inner Peace and Well Being through Meditation. Mindfulness For Beginners: A Practical Guide to Living in The Moment, Reduce Stress & Live a Happier Life!